This year, David Denies & Mission Esperanza Foundation celebrated Christmas by visiting the most vulnerable areas of northern Cordoba. Christma..
David Denies & Mission Esperanza Foundation celebrate Children’s Day Established to help raise awareness for children’s rights and welfare,.. 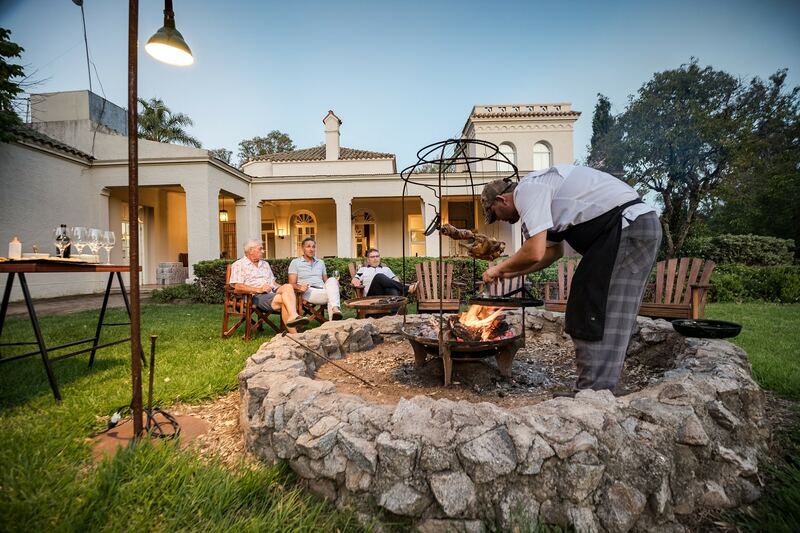 This spring/summer (September-March) combo starts with a three-night stay at Cordoba Lodge, in the Dove Capital of the World. Here, you’ll experi.. MOBILE HOSPITAL, MISSION IN “AGUAS DE RAMON” On April 14, the Mission Esperanza Foundation piloted its Mobile Hospital toward “Aguas de Ramon.. This information from our outstanding staff in Córdoba will prove handy if you’re planning to visit us in Argentina. 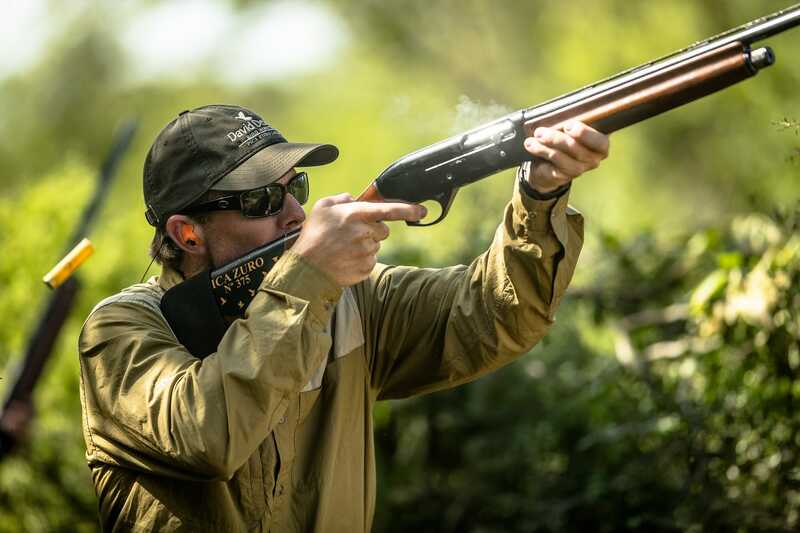 The following separates th..
by Douglas Larsen While in North America, you are no doubt enjoying the spring flowers and the opening games of the baseball season, in Argentina, ..
Benelli shotguns have long been recognized as one of the finest shotguns in the sporting industry. So when they design a new gun they want to ens..
A Thousand and “1” Shots – by Dave Mellum (Red Stag Patagonia—Tupungato Lodge) I’ve previously had the opportunity to hunt each of the 3 .. It doesn’t seem like it was that long ago in Argentina, when to make an international phone call, you had to go to an urban area, find a “phone..
We at David Denies Bird Hunting tend to associate the initials “DD” with our company David Denies. Mean while, the hunters of Texas a.. Angry – What is duck hunting anyway? Angry by Douglas Larsen Why does everyone…especially in the waterfowl brand category…look so angry? What is duck hunting anyway? Hiding somepla..
We know it’s a long way from North America to Argentina so why not take advantage of that long flight and add some spectacular sport fishing to y..
by Douglas Larsen While I know people that have, I have never been brave enough to calculate the cost of a shot duck on a per pound basis. But I ha..
by Douglas Larsen In most parts of the country, it is either already nice, or it is getting nice outside. If you are planning on getting out to do ..
Paraná River Outfitters (PRO) is the brainchild of a group of professional dorado fishing guides. Nervous Waters and David Denies have endorsed th..
by Douglas Larsen The neighbor lady saw me unloading dogs and decoys from my truck, and she hollered across the alley, “Did you catch any?..
At David Denies Bird Hunting are not in the business of endorsing other company’s wares, but once in awhile, something comes along that is truly..
MONSTER PARANA RIVER DORADO–AN IDEAL CAST AND BLAST OPPORTUNITY IN ARGENTINA It has always been hard to find great fishing during the ..
Every year, David Denies & Mission Esperanza Foundation celebrates Christmas. This year, traveling in a big Caravan, Sister Theresa and a group..
Well, -it’s almost show time. With the holidays fast approaching, and numerous other “distractions” like college football bowl ga..
by Douglas Larsen When it comes to hunting, I’m a big believer in Perspiration and Preparation, because if you prepare well, and work hard, you�..
For more than 20 years, Pilla has been manufacturing world-class shooting eyewear. Together with ZEISS (a company with over 165 years of optics dev..
I’m not a professional photographer—I’m not even an amateur. I’m just your “average Joe” who snaps a few shots to bring back home to sh..
Bernardo Barran, co-owner of both San Juan and Uruguay Lodges, has more than 40 years of experience perdiz hunting in Uruguay, and is South America..
by Douglas Larsen If you have been lucky, you have been in Argentina recently, hunting ducks, or maybe shooting doves, or perdiz and pigeons. I hop..
by Douglas Larsen It’s the oldest joke in waterfowl hunting. An old fellow looks up at a “V” shaped formation of ducks migrating across the s..
by Douglas Larsen If you hunt waterfowl with some regularity, you probably have at least a dozen decoys stored in your barn, or your garage, or und..
by Douglas Larsen I have seen these things advertised for years. If you have read a sporting magazine in the last fifteen years, you have probably ..
David Denies Bird Hunting is once again participating in the National Rifle Association’s (NRA’s) annual convention. This years event..
We Have Your Springtime Fix This is the moment to book our popular Uruguayan destinations, San Juan and Uruguay Lodge. If you’re interested..
Every year, David Denies & Mission Esperanza Foundation celebrates Christmas. This year Sister Theresa and a group of volunteers visited the Co.. This past July, the Mission Esperanza Foundation volunteers visited Santiago del Estero in a solidarity mission with the Mobile Hospital. For a wee..
During our pre season scouting in March we noticed that our area had almost perfect water levels, and so we anticipated great things for this seaso..
Hello everybody, Joaquin here again, the lodge manager and shooting guide at La Dormida Lodge. Some of you have already met me and I hope to meet t.. Sadly, the hunting season for 2016 in URUGUAY is coming to the end. This year we had the challenge of opening Uruguay Lodge, our second superb lo.. It seems like yesterday it was May and we were welcoming our first group. We had another stellar year at Jacana, and despite the La Nina weather th..
As South America’s premier wingshooting outfitter, David Denies Wingshooting continues to expand both its hunting options and its presence at maj..
“David Denies Solidarity Day” at Mission Esperanza Foundation Sharing the day with the children of La Curva & La Feria Community Centers Ev..
On March 19, Mission Esperanza Foundation volunteers visited Santo Domingo for the first solidarity mission of 2016, with the David Denies’ spons..
David Denies & Mision Esperanza Foundation celebrated Christmas. In a big Caravan, a group of volunteers packed with Christmas trees and toys v..
Every year David Denies and the Mission Esperanza Foundation honor the volunteers that diligently cook and take care of needy children at the Found..
Big news…….. in 2016 David Denies is going to open a new lodge in Uruguay: Uruguay Lodge. Encouraged by the quantity and quality of hunting in .. Yet another hunting season has finished at San Juan Lodge. It has been twenty-eight years since we welcomed our first guests to hunt in Uruguay, an..
David Denies and FME celebrate Children’s Day DD and FME once again joined forces for what is considered the most important children’s day in A.. Sadly, the duck season has come to an end at Jacana lodge. Now we’ll take some time to rest and to clean, dry, and store our hunting gear for the.. The 2015 duck season was exceptional at Los Crestones. Average water levels, with limited rain before and during the season, produced concentration..
INTERNATIONAL CHILDREN’S DAY Dear Shooting Traveler: You may have read about the work we’re doing to support the Maria de la Esperanza Mission ..
A group of volunteers meets once a month and visit one of the Community Centers of the Mission Esperanza Foundation. These Community Centers (soup ..
No matter where you live, February is a tough month. There isn’t a lot to do if you are a hunter or shooter. Most of the northern climes are grip..
During August and September, my two favorite months for dove shooting, birds were very strong in the hills, and hatching. For the last 7 years we&#.. Duck season has come to an end at Jacana Lodge. During March and April we had record rainfall across most of the country, and our area was no excep.. This time, we decided to bait in six different areas in an effort to concentrate the pigeon population where we want. 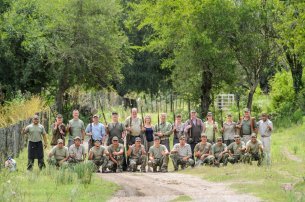 This strategy can be highly e..
We just finished our 2014 wingshooting season at Crestones Lodge in Buenos Aires Province. Record rainfall during the season made the day-to day hu.. Hunting season at San Juan Lodge has just come to an end after a whirlwind year of full bookings since early April. So, we are happy… and tired! ..
Jonathan Young loves the people, the food, the humour… but, most of all, he loves the sport. Tomas, our designated guide, climbed aboard and with..
We receive some great reports from our clients, but now and again we receive one that is very worthy of sharing. Take a moment to read this from M..
Posted on September 30, 2014 by Douglas Larsen This is the time of year when things begin to move more quickly. For almost everyone in North Americ..
Posted on September 2, 2014 by Douglas Larsen We have wrapped up another South American shooting season. In Uruguay and Argentina, the beds are str..
Posted on May 7, 2014 by Douglas Larsen I was very happy to travel to Indianapolis earlier this month for the NRA convention. I was there to film a..